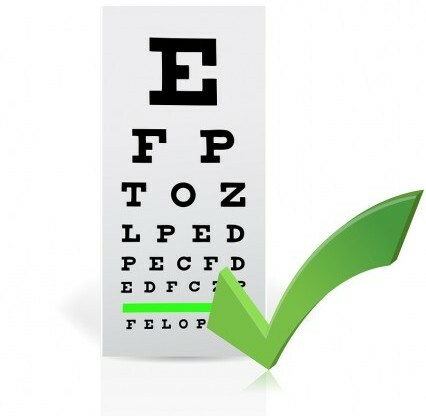 During your eye exam we can discuss whether or not you would be a good candidate for Lasik eye surgery. Generally, to determine if you are a candidate, you will need an evaluation of your overall ocular health, the stability of your prescription, the thickness of your cornea, the stability of your cornea, and your particular visual goals and circumstances. If you are not a candidate, or decide not to pursue Lasik eye surgery, there are other options such as PRK or orthokeratology. PRK is an alternative surgical procedure to Lasik eye surgery. In this procedure, no lasik flap is created, therefore some of the risks inherent in the Lasik procedure are minimized, and people who don’t qualify for Lasik eye surgery may qualify for PRK. Orthokeratology is also known as corneal reshaping therapy. It involves using special contact lenses that are only worn while you sleep. While you are sleeping, they gently and temporarily reshape your cornea so you will see clearly the following day (or two) without any contact lenses. Orthokeratology is a great option for people who don’t wish to undergo Lasik eye surgery. While Lasik isn’t for everybody, for the right person, it can be a great option. We partner with some of the best eye surgeons in the greater Portland Metro area to ensure that you get the most appropriate type of refractive surgery procedure for your eyes done at a refractive surgery center with a history of successful procedures. Because we work with a variety of ocular surgeons, and have seen the results from the different Lasik eye surgery centers in the greater Portland area, we are able to objectively compare results from one center or surgeon to another. Following your Lasik eye surgery or other refractive surgical procedure, we provide follow-up care in our office to ensure that you get the best possible outcome from your procedure.